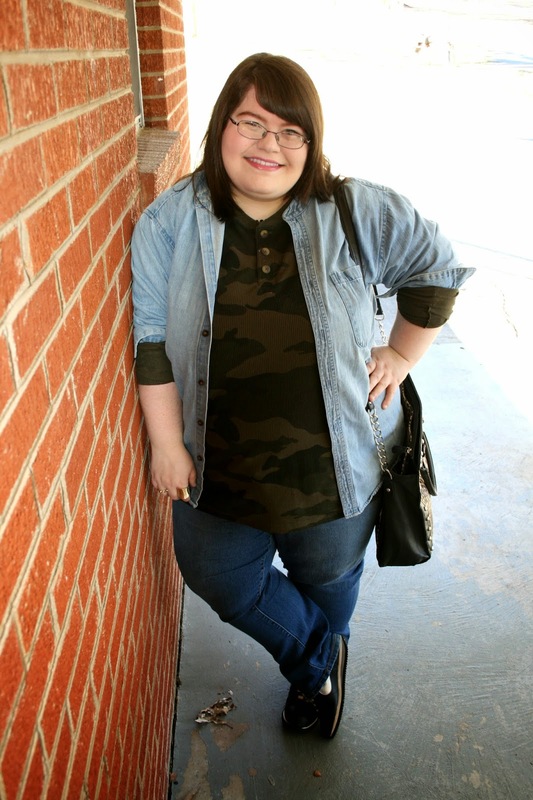 Another print that I love is camo. I absolutely love it paired with denim for some reason. It's just awesome! I have to say that this is one of my favorite outfits that I like to wear. 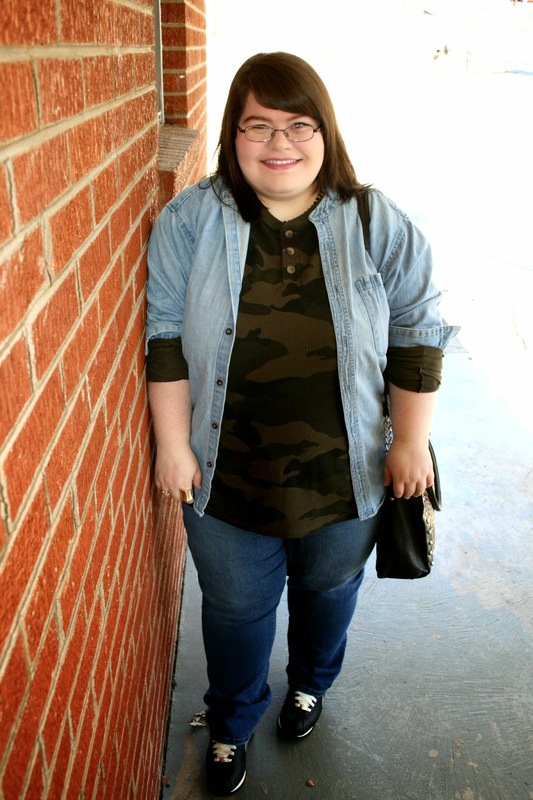 I only recently thought of pairing camo with denim since I saw one of my favorite bloggers, Merrick's Art, do it. She majorly inspires me. She's just really good at pairing things together. There's a lot of bloggers I love and she is one of them. Where I live, it's been colder in January than December. Weird, I know. This camo thermal was actually my dad's. One day, he just goes, "You want this?" I'm like, "Uh, duh! Of course!" It was a no-brainer here, folks. It keeps me warm without me feeling like I'm roasting to death. I appreciate that in clothing since I'm hot natured. The denim button down was from our church rummage sale that we had a while ago. It's one of my favorite pieces of clothing! I got it for $1. 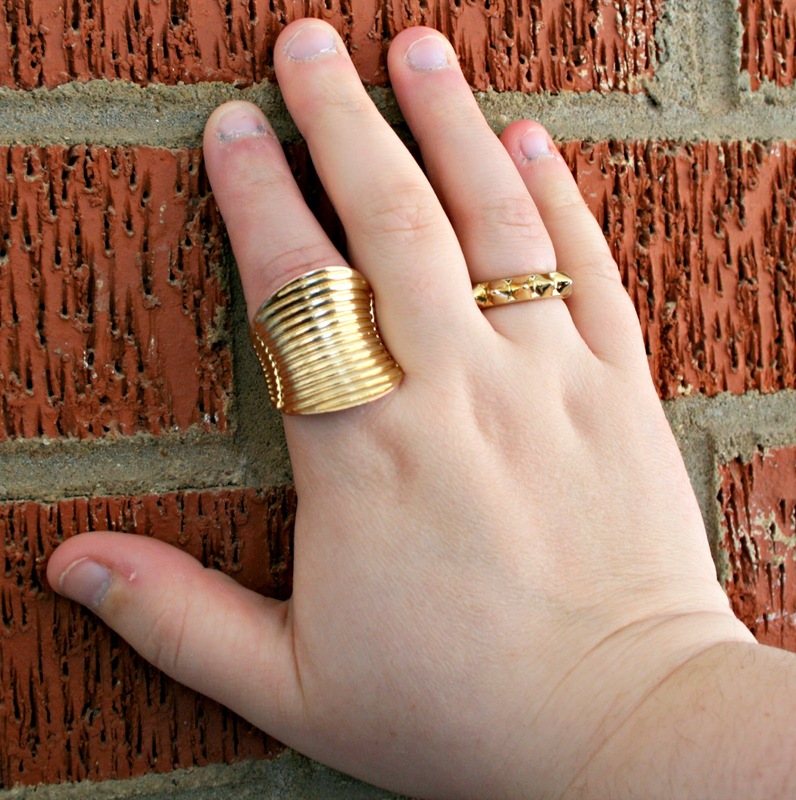 In case you couldn't tell by reading my blog, I love anything cheap! Something cool about this denim shirt is that it doesn't have a collar. It reminds me of an awesome 90's jacket or something. Ah. I miss the 90's by the way. Everything was just so much cooler. Right? Or was it just me? Anyways, I love this denim shirt!! I kept it super comfy with my Nike sneaks. Gosh, I love these things. I have wide feet and these are super comfortable for me to wear. So, if you have wide feet like me, you may want to check these out. Besides them being cute, they are extremely comfortable to walk and stand around in. I think that gold looks great with camo, so I paired some cute gold jewelry with it. 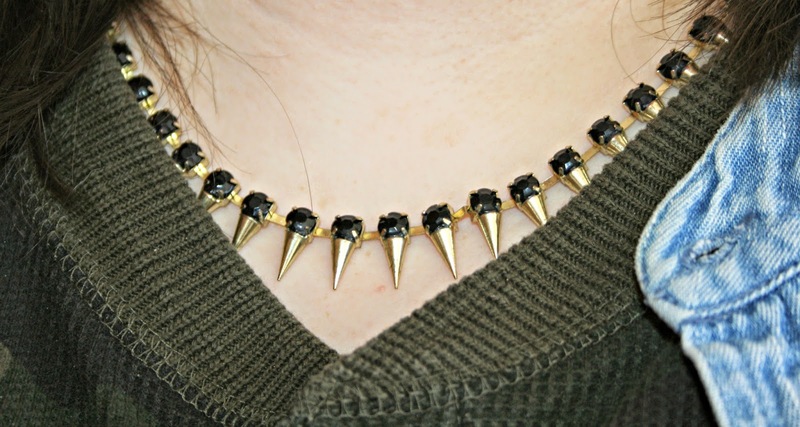 Sometimes I like to layer necklaces, but I kept it simple with a gorgeous statement necklace. Ah. Love. What is your favorite print to wear? Let me know!